Packet Pick-up will be offered prior to the event at Birchwood Recreation Center on Tuesday, November 20 from 8:30am to 8:00pm and on Wednesday, November 21, from 8:30am to 7:00pm. 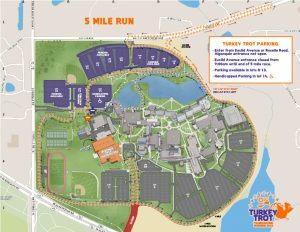 Packets can also be picked up on race day at Harper College. Day of event registrants will receive the hooded pullover and goody bag while supplies last. The Turkey Trot will be located at Building M on the campus of Harper College. 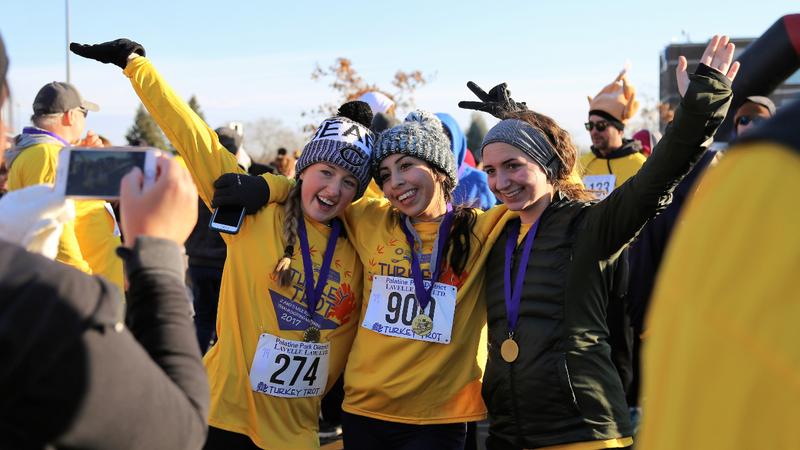 This year’s Turkey Trot has been enhanced through partnerships with a variety of community businesses including the Turkey Trot presenting sponsor Grade Power Learning of Palatine and the Drumstick Dash presenting sponsor Eric Esch – State Farm Arlington Heights. The following gold level sponsors have also contributed to the event’s success including Andigo Credit Union, Daily Herald Media Group, Palatine Bank and Trust, Palatine Vision Center, and Illinois Spinal Care. Post-race refreshments are provided by Stephens Automotive, Jewel-Osco of Palatine – Plum Grove Road, KIND Snacks, and Pepsico. Pre-registration can be completed online, in person, by mail or by drop off at Community Center, Birchwood Recreation Center, or Falcon Park Recreation Center through November 15 at 7:00pm. Fees can be paid as individuals, as a family, or as a group. Bikes, baby joggers/strollers, roller blades, skateboards, and dogs are not permitted on the course. For more information, contact Superintendent of Recreation Keith Williams at 847.496.6232 or kwilliams@palatineparks.org.